In 1948 the railways of Britain were nationalised – and so were the railways in Argentina. Ours under Clement Atlee, theirs under Juan Peron, but the similarity and connections don’t end there, because many of Argentina’s railways were constructed, operated and owned by British businessmen. 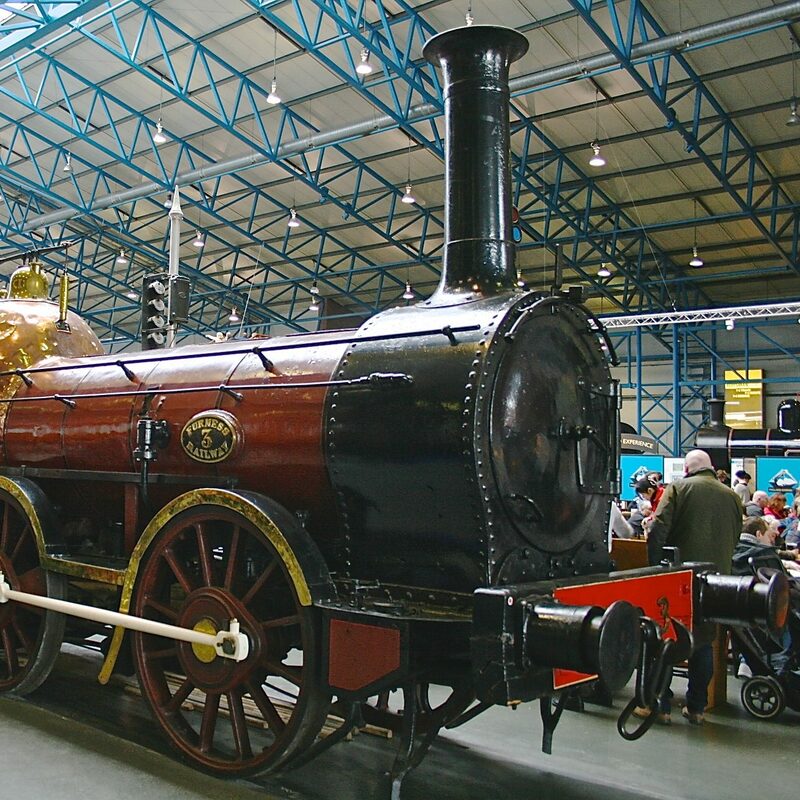 The early railway engineers included men like Robert Stephenson, whilst Argentina was also home to numerous civil engineers, and 78% of the country’s rail network was effectively British owned by 1900. There were in fact a total of eight British owned railways that became vested in the Argentine State Railways by 1948. Four of these were broad, 5ft 6ins gauge, two standard gauge, and two metre gauge. The largest of the former British owned railways was the Buenos Aires Great Southern, and most of its locomotives were supplied by Beyer Peacock, Vulcan Foundry, North British, Robert Stephenson & Co., Nasmyth Wilson, Hawthorrn Leslie, and Kitson. There was some ‘foreign’ success too in winning order from the BAGS, including, J. A. Maffei, and even Baldwin. However, it was Beyer Peacock, Vulcan Foundry, and North British Loco Co that supplied the many hundreds of steam types for Argentina, and these covered each of the different gauges, from the 5ft 6ins, broad gauge, to 4ft 8 1/2ins standard gauge, metre and even narrow gauge types. They included both simple and compiund expansion types, rigid frame and articulated designs. The compound locomotive was extensively employed on these railways, and the ‘fashion’ for lasted longer in the southern hemisphere than the north, with many variations in design and operation. The offering below covers this period, with a focus on the broad gauge Buenos Aires Great Southern Railway lines, where both two and four cylinder compounds were put to work. Some details too of other railways, and the considerable numbers of locomotives supplied by the North British Co. from its works in Glasgow is outlined.